For estate appraisals in Florida, you need to hire a professional. Accountants, executors, attorneys and others come to Paris Realty Appraisals, LLC for “date of death” valuations because this type of appraisal requires specific expertise. It requires a firm that has extensive experience in that area and can accurately research contemporaneous sales. There are many situations where you might need a property appraised for an earlier time than the date of the appraisal. 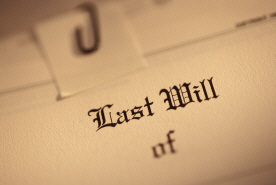 Determining the tax liability of an estate, distributing assets under a will or in probate are just two examples. The value of the property has to be estimated from the date of death of the deceased person. (Sometimes, the executor of the estate may choose to have the date be six months after the date of death -- but the same principles apply.) Such appraisals are often required before assets can be distributed. These situations are already trying enough without the added difficulty of trying to figure out what a property was worth on the date of death of the decedent. Unlike publicly traded stock or other items which don’t fluctuate much in value or have accessible public data, real property requires considerable know-how to evaluate. You need a professional real estate appraiser who is bound by the Uniform Standards of Professional Appraisal Practice (USPAP) for a high degree of confidentiality and professionalism, and you need the professional-quality report and work that taxing authorities and courts expect. Do You Have an Estate to Settle? Do you have an estate to settle? Let us help you. Just fill out as much of the information below that you want and we'll get right back to you, with no obligation to you. We guarantee your privacy.